Wrightwood is a city located in the Outside Los Angeles region. Wrightwood is located near Phelan, Mount Baldy, Pinon Hills, Llano, Lytle Creek, Claremont, La Verne, Azusa, Alta Loma and Pearblossom and is comprised of the 92397 zip code. 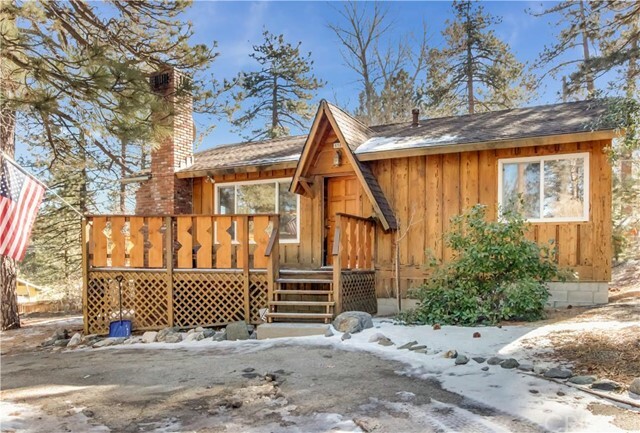 The real estate conditions in Wrightwood are considered to be a "Seller's Market", which means the demand to purchase homes is greater than the supply of homes available for sale. Description: this mountain vacation house located in a very nice area of wrightwood in about 3 miles from mountain high sky resort.house was renovated in 2013 and ready to move in.the living and dining area have wood beam cathedral ceilings,custom wood paneling cover the walls,gas and wood fireplace ,forced air heating throughout the house.hardwood floors ,energy officiant double glassed windows and sliding door. oversize laundry room could be used as office also,tiles and new fixtures in the bathrooms.wraparound large deck on three sides great for entertainment with beautiful pine trees around .fenced yard for children to play and fenced area for pets make this house perfect family delight. Listed By: Nerses Ananyan of Titus Realty, Inc.